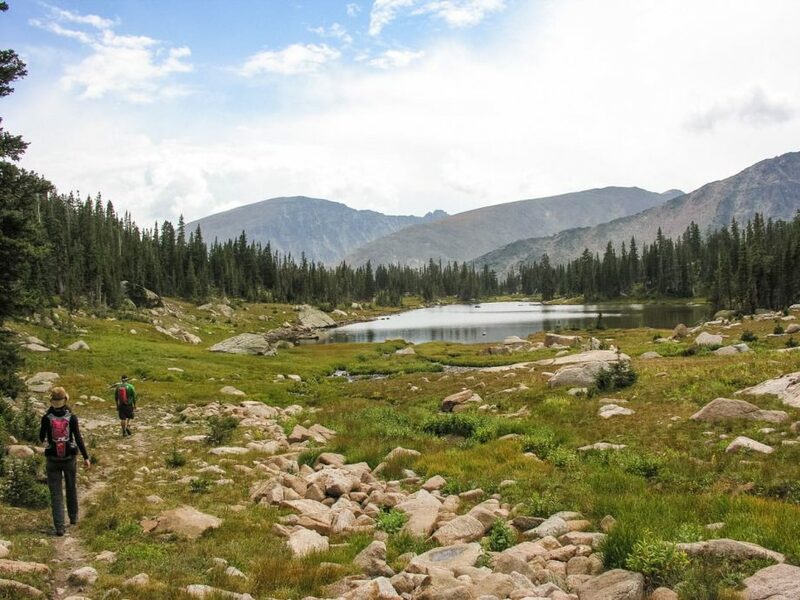 Enjoy the summer splendor of Colorado on a Rocky Mountain National Park Backpacking trip. Experience the freedom of being self-sufficient in the mountain wilderness, carrying all your backpacking gear on your back. 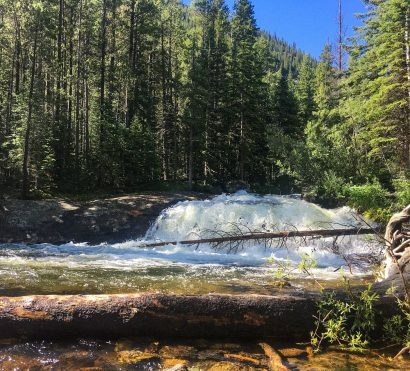 On this backpacking trip to Thunder Lake, your expert guides pass on hard-earned tips and tricks to not only survive in the backcountry, but thrive in comfort and solitude while protecting the fragile ecosystem. 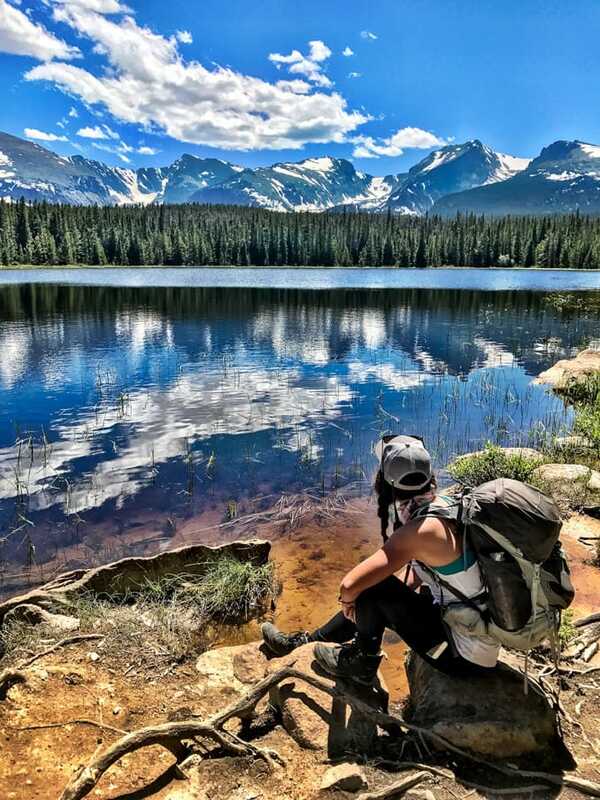 Hike to the Continental Divide and experience “the backbone of the continent,” skirting alpine lakes and hiking across the jaw-droppingly beautiful martian landscape above the treeline. Stay on the lookout for wildlife such as elk, moose, marmot, and even black bear! Carpets of wildflowers, permanent snowfields and remnant glaciers, jagged peaks, and blue skies beckon us as we journey through this iconic National Park in the Rocky Mountains. On this trip, you will carry all of your gear including tents, sleeping bags/pads, food, and even group gear like the kitchen equipment and food, which will be shared among hikers. You must be comfortable carrying 35-45 lbs on your back during the 7-mile hike in and out of Thunder Lake. Don’t have the gear? AOA can provide everything you need along with a detailed backpacking checklist for packing. Trip End: Ends at Wild Basin Trailhead between 2-3pm OR Holiday Inn Express Boulder, CO, between 4:00-5:00pm on Day 3. Your trip begins today either at our host hotel in Boulder, CO or at Wild Basin Trailhead just outside Allenspark, CO not far from Estes Park. Here your guide will brief everyone on the adventure ahead, including a backpack fitting and packing demo before we hit the trail! 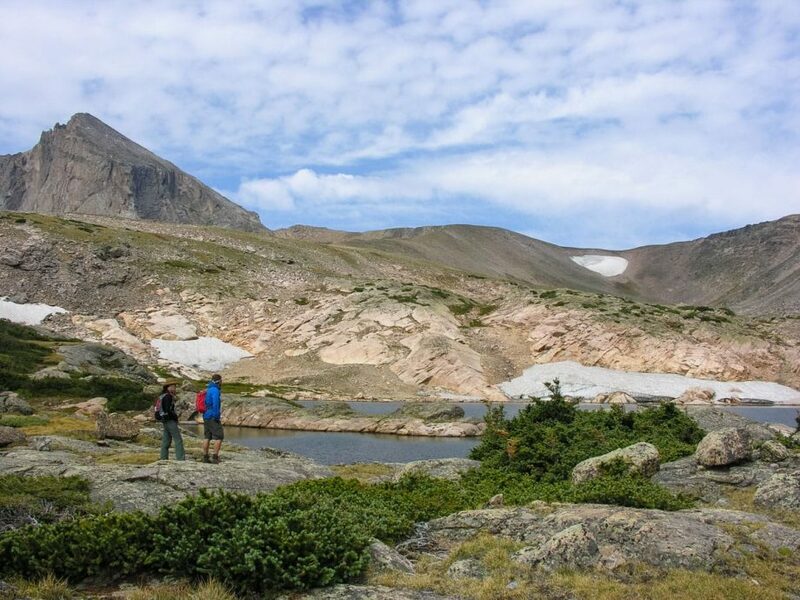 The vast and picturesque panoramas of the Colorado Rocky Mountains stretch out around us, allowing us to immediately feel as though we’ve left the real world behind for a backcountry trek. 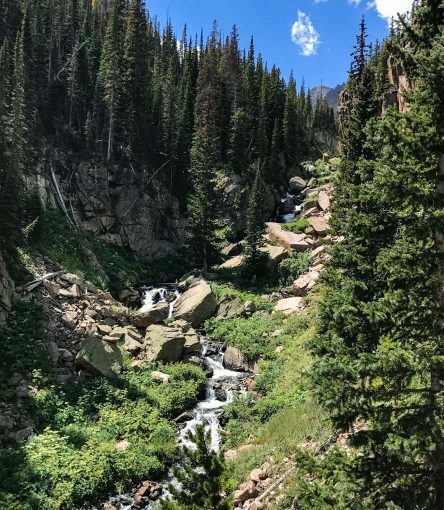 Beginning at an elevation of 8,500 feet, we hike alongside the North St. Vrain River and pass Copeland Falls, the first of many glimpses of waterfalls as we hike some of the best Rocky Mountain National Park Hikes. We share the trail with families and day hikers at first, but quickly find ourselves in peace and solitude as we gain elevation. Slowly, the views open up, revealing the glory of high jagged peaks, small glaciers, deep gorges, and distant lakes. 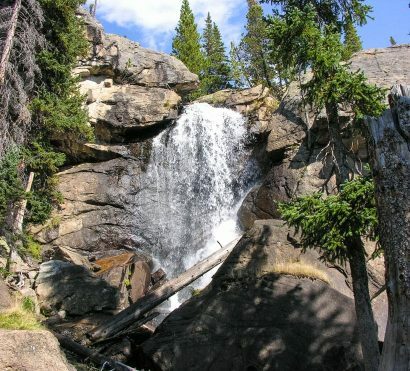 We enjoy a trailside lunch near a stream or at a scenic overlook before continuing to our camp at Thunder Lake at an elevation of 10,574 feet. 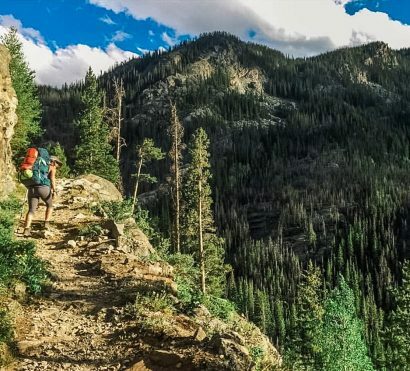 Take in the massive Colorado sky as the sun sets and the stars emerge, while your guide is busy preparing a delicious and well-earned dinner, and it won’t be any old backpacking food! Tonight, relax in your cozy backpacking tent and dream of tomorrow. Today we awaken to the quiet of the backcountry, punctuated by the sounds of nature: birds singing, a nearby babbling brook, and the gentle sighing of wind through the trees. Sit back and enjoy your favorite hot beverage as your guide prepares a hearty breakfast. After the sun begins to warm the nearby slopes, we don lightweight daypacks and head out for a day of high-elevation hiking. 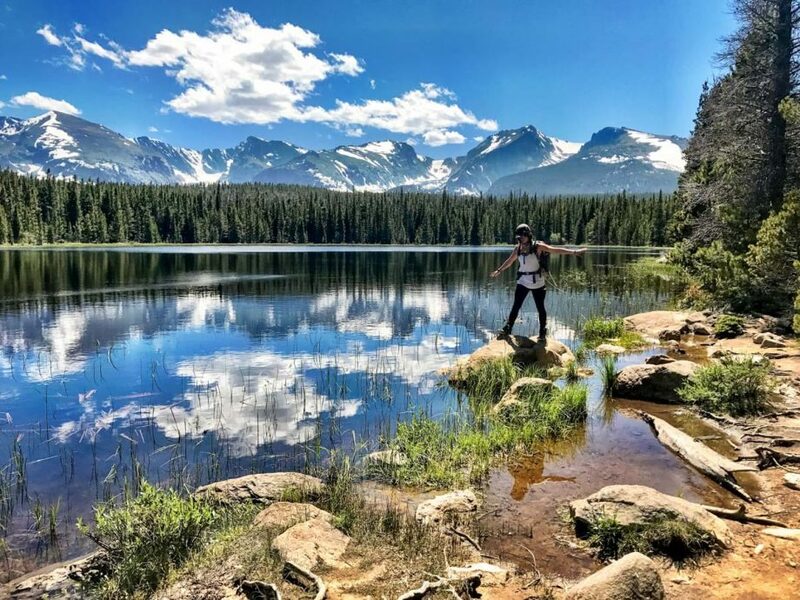 For the fit and adventurous, we have a hike past Lion Lakes and Snowbank Lake all the way to the Continental Divide (weather and conditions permitting)! Along the way we find multiple opportunities for people to stop and enjoy some solitude if they prefer to not make the entire climb. At midday, we encounter another learning opportunity as our guide prepares us for cross-country (off trail) travel. We follow Leave No Trace principles as we climb through the forest, cross through the sub-alpine zone, and finally reach the alpine tundra. Being above the treeline affords us a sweeping 360-degree view and implores us to spend some time searching for wildlife, birds of prey, and even small marmots and pikas looking to share our lunch. If we are lucky we’ll spot the well camouflaged Ptarmigan, a grouse-like bird that turns completely white in the winter, allowing it the adaptability to blend in perfectly with its surroundings year-round. Tonight we return to our home away from home for another night spent beneath the Milky Way! Just as we start to settle into life in the backcountry – the slower pace, the sunrise starts, the camaraderie around camp in the evenings, and the constant reminder of the grandeur of nature – it’s time to pack up, don our full-sized backpacks again, and leave our camp in the woods behind to trek back to our trailhead. It feels as though it’s been forever since we stepped foot on asphalt, checked our emails, or had somewhere to be. Luckily, we now have new friends and a favorite among Colorado’s National Parks to return to and adventure in again in the near future! 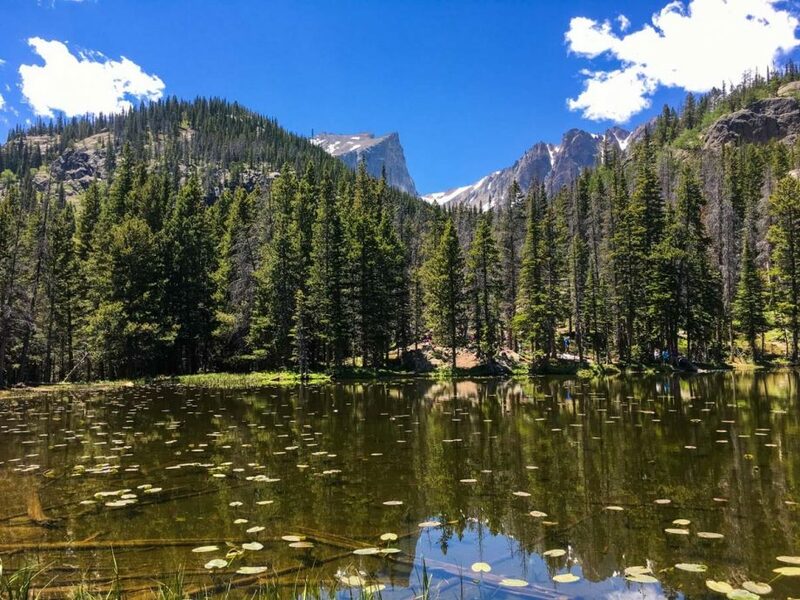 Our return trip today affords us one last look at beautiful Thunder Lake, before we return to our trailhead via a new route with views of Ouzel Falls and Calypso Cascades. After our final lunch together, we swap stories and favorite moments before returning any backpacking gear and saying our final farewells back at the Wild Basin Trailhead. This backpacking trip requires that you carry all you need and a portion of the group gear on your back during the hikes on days 2 and 4. 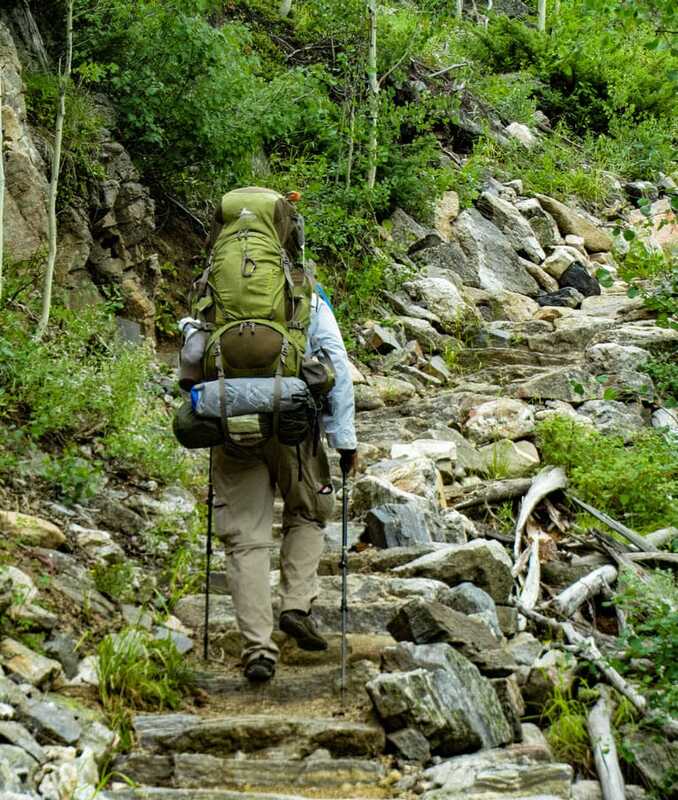 Expect to carry about 35-50lbs in your backpack while hiking over uneven terrain at high elevation.